Tunisia – Sliding back towards presidential authoritarianism? From its independence to the January 2011 uprising, presidentialism in Tunisia was synonymous with dictatorship. Indeed, former presidents Bourguiba and Ben Ali had both concentrated power in their own hands, with the legislative and judiciary branches acting as extensions of this power. In the aftermath of the January 2011 revolution, the interim government and later the elected constitutional assembly opted for a semi-presidential system. Indeed, nearly all political parties agreed that such a system was essential to decentralize executive power in order to prevent the return of an authoritarian presidentialism. However, in the last few years, the current President, Hafedh Caïd Essebsi, has been arguing that a lack of centralized executive power is preventing Tunisia from progressing both in its political reforms and its economic development. Could this be an early sign that Tunisia is slipping back into a form of authoritarianism? As the Tunisian constitution stipulated that the prime minister would succeed the president in the case of the latter’s death or severe illness, Ben Ali replaced Bourguiba as president of Tunisia following what was to be called the 1987 “medical coup”. Initially, Ben Ali cultivated the image of a political reformer keen on introducing a more representative democracy in the nation. Indeed, his political rhetoric relied on terms such as democracy, further economic integration with Europe, as well as individual freedoms and rights. Seemingly in order to prove his good will in these matters, in 1988 Ben Ali introduced a constitutional amendment abolishing the lifelong presidency and capping term limits to two five year mandates. However, as the years went by, it became clear that Ben Ali was only interested in democracy as a façade. Indeed, while a few seats were set aside for opposition parties in parliament, Neo Destour members constituted its vast majority. Further constitutional amendments only confirmed the authoritarian nature of Ben Ali’s regime: in 1997, a third term was added to the previous two-term presidential limit; and in 2002, term limits were abolished altogether, ushering in a de facto return of the lifelong presidency. In January 2011, Tunisians went to the streets demanding freedom, dignity and equality. Moreover, one of the protesters’ staunchest demands was the departure of Ben Ali from the presidency. After a few weeks of public unrest, Ben Ali fled the country with his family, being granted political asylum in Saudi Arabia. A new interim government was established, with former Prime Minister Muhammad Ghannushi becoming pro tempore president. The neo Destour party was formally dissolved. One day after being appointed president, Ghannushi resigned and was succeeded by Fouad Mebazaa. The interim government quickly announced elections for a constituent assembly, which were held in October. The constituent assembly later announced, in December, that during the transition period, which was to end when Tunisia had a new constitution, Moncef Marzouki was to succeed Mebazaa as president. The new constitution of Tunisia of 2014 limits the mandate of a president to two five-year terms and imposes checks from the legislative, judiciary and part of the executive branches on the office of the presidency. Indeed, under the new system, the direction of the government is explicitly assigned to the Prime Minister, who is responsible before the legislative branch. The first president to be elected under the new constitution is the incumbent, Beji Caid Essebsi (sworn in in December 2014), with Mehdi Jomaa as Prime Minister. It soon became apparent, however, that Essebsi had a view of the presidency that was closer to that of Bourguiba. Nowadays, despite the strong presence of the islamist Ennahdha party in parliament and their apparent commitment to upholding the gains of the 2014 constitution, Essebsi is busy building a personality cult and has repeatedly complained to the press of the inadequacies of the 2014 constitution. Indeed, in a 2016 interview with the national daily La Presse, Essebsi laid out his plan to eventually amend the constitution to disentangle the “interwoven powers” of the executive branch in order to concentrate them in the office of the presidency. A major factor in government inefficiency, he added, was the “independent constitutional bodies”, that is, the independent agencies mandated by the constitution to monitor elections and combat corruption. Moreover, Essebsi, following the example of Bourguiba, has extended the powers of the presidency. On one hand, he has begun acting as an arbitrator in legislative affairs, making the Prime minister a simple instrument through which presidential prescriptions are applied; on the other hand, he has yet to set up the Constitutional Court, which was supposed to have been operational by January 2015. Tunisia’s new constitution was designed to prevent the return of authoritarian presidentialism. However, “the strength of a constitution depends on the political determination to breathe life into the letter and the spirit of it”1. With the Tunisian economy still weak seven years after the 2011 revolution, many Tunisians understandably feel that further political and economic reforms are urgently needed. If these are not undertaken soon, there is a definite chance that the electorate, in desperation, will agree with president Essebsi that the current constitutionalist regime needs to be overhauled to bolster the powers of the presidency. The author would like to thank Alessandra Bonci for her advice on writing this blog post. This entry was posted in Africa, Tunisia and tagged president, Tunisia on June 26, 2018 by Jean-François Letourneau. On 21 December Tunisia elected its first president since the 2011 uprisings. Béji Caid Essebsi, founder of Nidaa Tounes party, won the second round of the presidential election, winning 55.68% of the vote in the run-off poll (1,731,529 votes). His competitor, the interim president, Moncef Marzouki, ex-leader of the Congrès pour la République party, gained 44.32% (1,378,513 votes). The difference between them in the first round was just 6%. Turnout was 60.11%, a bit less than the first round. Northern and coastal areas mostly supported Essebsi, while the rest of the country supported Marzouki, who was unofficially backed by the Islamist movements and Nahdha. Nidaa now controls both the government and the presidency. However, even though the legislative election was held at the end of October no government has yet been formed, although the Constitution states that after the official proclamation of results a new government has to be appointed. The leaders of Nidaa decided to wait for the results of the presidential election before consolidating alliances in the Assemblée des Représentants du Peuple (chamber of deputies). There were preliminary discussions and debates, but they ended as soon as the presidential electoral campaign started. The second round presidential candidates campaigned on similar issues: unifying the country, security, and the need to improve the country’s socioeconomic problems. The election did not see the emergence of new people, but it did see a change in political communication, the relationships between politicians and media, and a general “acceptance of the rules of the game” by all actors. Both candidates tried to overcome regional differences and win the support of economic and political elites at the national level. Essebsi dwelt upon international relations and the importance of economic restructuring. He relied on unhappiness with the Nahdha transitional government. The appeal to stability and efficiency found a ready ear among the bourgeoisie and the middle class of the northern regions: they are worried about what they see as the chaos and anarchy of the country’s institutions and everyday life. For these electors, the priorities are now the stability of institutions, security, and bureaucratic apparatus. With several members of the former Rassemblement Constitutionnel Démocratique in senior positions within the party, Essebsi is the natural successor to Habib Bourguiba, who is largely considered as the father of the nation. Marzouki could rely upon the support of Nahdha party. He portrayed himself as someone who could provide real change for the presidency and the country as a whole and campaigned against what was portrayed as the resurgence of the old regime represented by Nidaa Tounes. Marzouki’s supporters shared the belief that Nidaa wants to return to an authoritarian regime. Marzouki could also count on the support of middle class and economic elites in the central and southern regions. Both candidates also emphasized the importance of younger voters. Essebsi decided to start his campaign at l’Etoile du Nord, an internet café close to Avenue Bourguiba, which was largely attended by young activists and bloggers. A debate arose around the drugs issue, as Tunisian law on drugs consumption specify a one-year minimum jail sentence and a $600 fine. Opponents claimed the law is an excuse to round-up activists and that it disproportionately affects poor and working class people and leads to overcrowding in prison. Although he did not support the legalization of drugs, Essebsi tried to ride on the wave of this liberal debate by emphasizing the need to defeat drug dealers. Marzouki was more cautious, calling for a deep analysis of the “problem” and a rationalization of the law. The candidates also exploited the 17 December anniversary of the jasmine revolution. Marzouki attended a campaign meeting in Sidi Bou Zid, the place where the Revolution began. Essebsi went to pay homage to the family of a Lieutenant of the Army, Socrate Cherni, who died in October 2013 during a conflict against Ansar al Sharia militants. These choices are linked to the issue of the Revolution’s martyrs: everyone has his own martyrs and his own revolution. The Nahdha party, as mentioned above, unofficially supported Marzouki. After a long delay, the communist Front Populaire declared that it was necessary “to bar the way to Moncef Marzouki”, and to religious extremist movements as a whole, implicitly calling for people to vote either for Essebsi or to issue a blank vote. Nidaa still needs to forge a coalition in order to form a government, and the party has just two options: it can try to form a grand coalition with Nahdha, or form a coalition with small secular parties such as UPL and Afek Tounes, probably excluding the Front Populaire. Now that the presidential election campaign is over, everything is possible, including the grand coalition with Nahdha. The second round results showed that the electoral map is split in two. The World Bank and the IMF are still pressing Tunisia to implement urgent economic restructuring, while ordinary citizens are feeling the effect of price increases. A grand coalition is feasible in the context of national unity and economic reform. However, the religious cleavage is still strong and captures problems that date back to 2011 and before. This entry was posted in Middle East and North Africa, Tunisia and tagged presidential election, Tunisia on December 24, 2014 by Robert Elgie. In a 2013 Journal of Democracy article, Steven Heydemann argued quite convincingly that Tunisia was the last remaining hope of a successful transition to democracy after the Arab uprisings. The enthusiasm for the Arab Spring of the early days has all but vanished both across the region and the globe, with high-intensity civil wars in Iraq and Syria, low intensity conflicts in Libya and Yemen and with Egypt reverting back to strong authoritarianism. The apparent authoritarian immobility of the Gulf countries is further evidence of the pessimism surrounding the prospect of democratic changes in the Middle East and North Africa. In this context it is not a surprise that the legislative elections of October 26, 2014 in Tunisia had become so important not only for ordinary Tunisians but for scholars and policy-makers alike. They provided the opportunity to demonstrate that an Arab country could indeed transit to democracy and while it would be a mistake to conflate democracy with elections only, it should be recognized that they nevertheless represent a foundational moment. The elections saw a turnout of 61.9%, which is an increase of ten percentage points on the 2011 elections for the Constituent Assembly. Nida Tounes, a new party that is broadly secular in the tradition of Bourguiba, won the elections, taking 85 seats out of 217 and the Islamist party al-Nahda came in second with 69 seats. The liberal party UPL (Free Patriotic Union) won 16 seats and the left-wing Popular Front took 15 seats. The Congress for the Republic and Ettakatol – both centre left parties that had done well in 2011 and governed in a three-party coalition with al-Nahda until 2013 – did not fare well at all, taking 4 seats and 1 seat respectively. There are three significant elements that emerge from the 2014 legislative elections in Tunisia and its outcome. First, they highlight the maturity of both political actors and ordinary Tunisians. Despite the difficulties and political conflicts that the country encountered in the post-authoritarian period, parties, trade unions, social movements and citizens ultimately all agreed that differences would be resolved through the ballot box. This was not an inevitable outcome. The emergence of radical jihadi Salafism in the country, the worsening socio-economic situation, the assassination of two prominent leftist politicians and the deepening rifts between seculars and Islamists all threatened at one point or another to derail the constitution-making process and therefore the transition. In the end though, all of these difficulties did not prevent the Constituent Assembly from approving a new constitutional document, which enshrined political pluralism. The maturity and ability of all actors to find a workable compromise speak to the central importance of ‘actorness’ in processes of democratic transition; choices do matter even when structural constraints are powerful. Second, the election results indicate that Tunisia is very much like most transitional countries, suggesting that there is very little ‘exceptional’ in Arab politics. 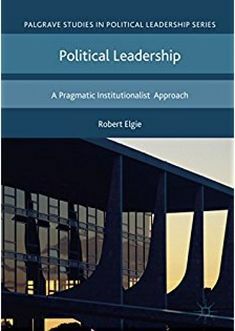 As in many countries in Eastern Europe in the early 1990s for instance, new parties won the first pluralistic elections to then disappoint in power before being voted out by political actors largely ‘recycled’ from the authoritarian period. In short, opponents of communism won the first round to be the replaced by former communists who now embraced democratic mechanisms. Tunisia has followed a similar path so far. In the 2011 elections, the most committed opponents to Ben Ali’s rule and to his party – the RCD – won a landslide victory and came to power with promises of massive reforms and swift changes in all matters of governance. When rifts within the coalition and the structural difficulties prevented the new government from delivering on its promises, they lost popular support to a party, Nida Tounes, which harks back to the good old days of Bourguibism and is made up to a significant extent of former RCD members and elites belonging to the Ben Ali regime. All now duly converted to democracy. The normality and inevitability of this is both striking and unsurprising. Transitional dynamics have rendered politics in Tunisia normal. The third significant element to emerge from the elections is the marginalization of the mediatic framework of Islamism versus secularism. As Youssef Ben Ismail makes clear in his analysis of the elections, there is a tendency to read the victory of Nida Tounes as the victory of the forces of secularism against the forces of Islamism. This however would be a rather erroneous reading of the dividing lines of Tunisian politics and the motivations of voters. While there is certainly a division in Tunisia between the secular parties and the al-Nahda on the role of religion in politics, such division is not as deep or as important. It is also a proxy for class and regional divisions, making the contest between the two parties more than the conflict between those who wish to have religious precepts informing policy decisions and those vehemently opposed to it. In fact, religion did not play much of a role in the electoral campaign, which was much more about al-Nahda’s economic failures in government – Nida Tounes insisted on this aspect – and Nida Tounes representing the return of old figures from the Ben Ali era – al-Nahda insisted on this. Where does this leave Tunisia? The results have been recognized as valid by all political parties and this indicates that democratic procedures and mechanisms are internalized. A return of old authoritarian days seems unlikely as there is a broad consensus that Tunisia can solve its problems only through pluralistic politics. This is something that ordinary Tunisians as well are largely convinced of. The real challenge for the country and its new government – a grand coalition between Nida Tounes and al-Nahda has been talked about – is improving the economy, which is the most important issue for voters. The problem is that that economic policy-making is the field where elected officials seem to have the least amount of capacity to influence, as international financial institutions and the European Union are very much in charge of that. Francesco Cavatorta is Associate Professor in the Department of Political Science, Université Laval. He is currently working on the different strands of Tunisian Islamism. This entry was posted in Middle East and North Africa, Tunisia and tagged parliamentary elections, Tunisia on November 5, 2014 by Robert Elgie. This week, Tunisians at home and abroad are holding their breath, eagerly anticipating the adoption of the country’s first constitution following the Jasmine Revolution. Parliamentarians have been voting daily on the individual articles of the new constitution since the beginning of the new year, and while the process have been wrought with difficulty in recent days, following anonymous death threats against a number of MPs from the anti-Islamist Front Populaire, the country’s political leaders are optimistic that the new constitution will be adopted by the necessary two-thirds majority (145 MPs) by the time of the third anniversary of the fall of the Ben Ali regime on 14 January 2014. In line with the debates taking place over the past few years, and in accordance with the various published drafts, the new constitution provides for a semi-presidential system of government in which the role of the president is rather restricted, not only in terms of the previous state of affairs, but also in comparison to semi-presidential regimes elsewhere. According to the final draft of the new constitution, the president is the head of state (article 71), and is to be elected in direct elections with universal suffrage. The candidate winning an absolute majority is declared the winner. If no candidate receives the required share of valid votes, a second round will be held, pitting the two top candidates against each other. In sharp contrast to the past, a person can only serve two terms as president, consecutive or not (article 74). Finally, a cause of upset to some is the reality that in order to run for the highest office, a candidate must be Tunisian and ‘embrace Islam’ (article 73). How this is defined, however, is rather unclear and is left to the election laws to decide. In terms of powers, the president shares executive authority with the government and prime minister (article 70). And while the president appoints the latter, his powers on the subject are rather limited, as – according to article 88 – the nominated candidate must come from the party emerging from the legislative elections as the largest, or from the largest coalition (and the largest party within that). The prime minister designate then has one month to put together a team, which must present a brief programme to the Council of Deputies for a vote of confidence (article 88). In addition to appointing the prime minister, the president has the mandate to outline the general policies on the aspects of defence, foreign relations and international security (article 76), as well as the prerogative to appoint a number of other high-level officials, and the duty to serve on a number of central bodies (articles 76 and 77). In all instances, the president’s room for manouvre is severely limited, either by the constitution, the government and/or the Chamber of Deputies. It is also worth mentioning that, although rather restricted, the president ‘may in exceptional circumstances submit for a referendum, the draft laws that were ratified by the Chamber of Deputies.’ The specific rules under which such laws can be submitted to a referendum are governed by the election law (article 81). Taking into account Tunisia’s severely authoritarian past, the new political system outlined in the draft constitution currently being voted upon by the country’s parliamentarian’s seems a good way forward. A semi-presidential system not only constitutes a compromise between the Ennahda’s preferred option of parliamentarism and large part of the opposition’s desire to keep a form of presidentialism in place. Furthermore, while semi-presidentialism does entail the risk of political deadlock, the system will reassure many of those fearful of history repeating itself as the president’s powers are narrow, both the president and the legislature are elected in direct elections with universal suffrage, and via the provision of a Constitutional Court tasked, among other things, with resolving disputes between the prime minister and the president (article 99). Brody-Barre, Andrea (2013) ‘The Impact of Political Parties and Coalition Building on Tunisia’s Democratic Future,’ Journal of North African Studies 18(2), pp. 211-230. Storm, Lise (2013) Political Parties and the Prospects for Democracy in North Africa. Boulder, CO.: Lynne Rienner. The Front Populaire (or Popular Front), lead by Hamma Hammami, is a coalition encompassing twelve parties and associations from across the political spectrum. The main defining feature of the Front Populaire, which includes leftists, nationalists, and greens, is its anti-Islamist stance. The assassinated politician Chokri Belaïd was a member of the coalition (Brody-Barre 2013; Storm 2013). Should the constitution not pass through parliament the first time, a second attempt will be made. If this fails, the constitution will be put to a national referendum. For a full, unofficial English translation of the fourth draft of the Tunisian constitution, please refer to http://www.constitutionnet.org/files/fourth_draft_english_idea.pdf. This entry was posted in Middle East and North Africa, Tunisia and tagged Constitution, powers, semi-presidentialism, vote on January 8, 2014 by Lise Storm.